I love a good sale! Between working full-time and chauffering two kids around, I just don’t get much shopping time. The other day I found some time and rushed into Hobby Lobby. It was definitely my lucky day, as they had just marked all fall decor down 80%, and it wasn’t even Thanksgiving yet! The fall aisle was like an L.A. freeway at rush hour. Shoppers’ carts were bumper to bumper, as we rummaged through pumpkins and foliage. 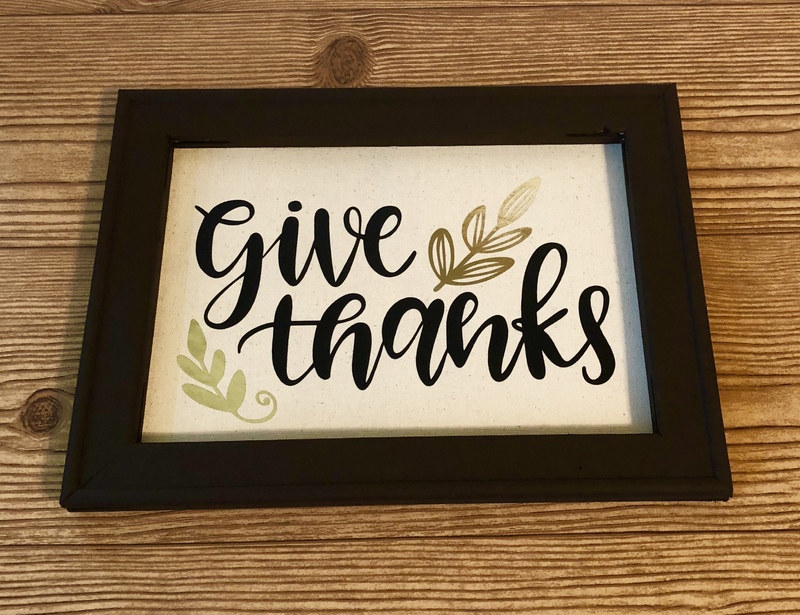 I always host Thanksgiving at my house, so I was on the look-out for some new fall decor to go with my Give Thanks reverse canvas I had just made. Check out my tutorial here. After inching through the fall aisle, I was able to grab some amazing white ceramic pumpkins and a couple of signs. 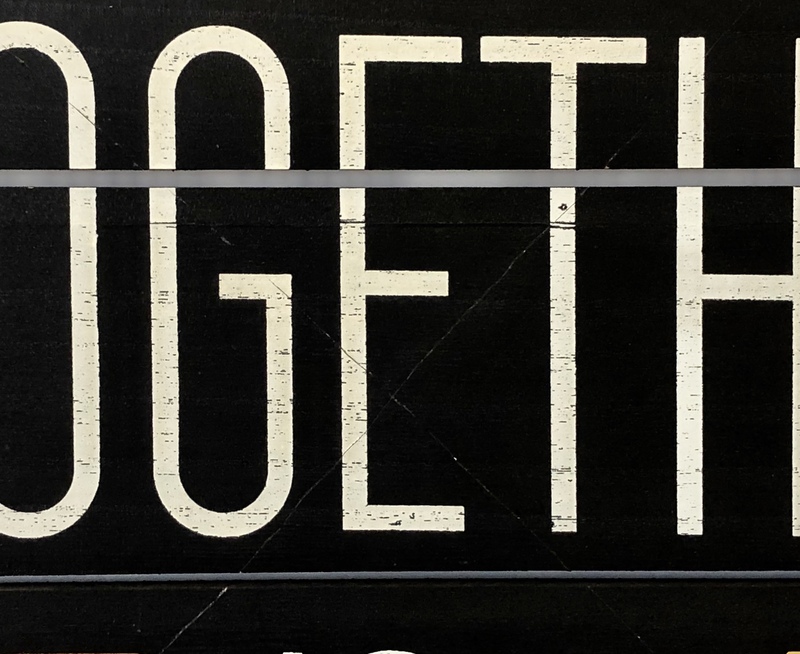 My shopper’s high quickly faded once I got home a realized the large sign I had bought was quite damaged. 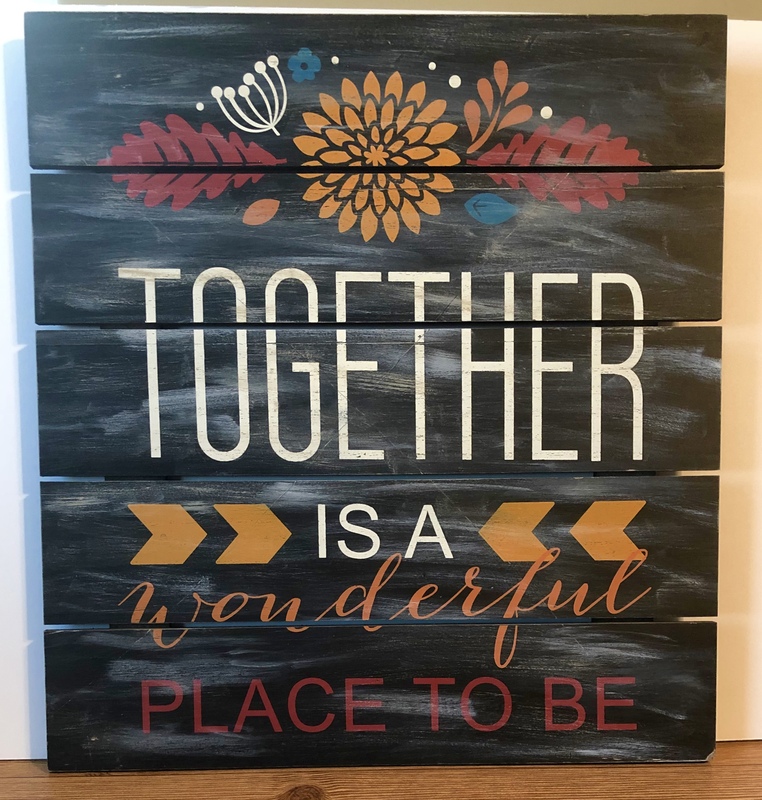 I grabbed this sign from a low shelf in the store. Due to the angle from which I looked at it, I didn’t notice the scuffs in the corners. 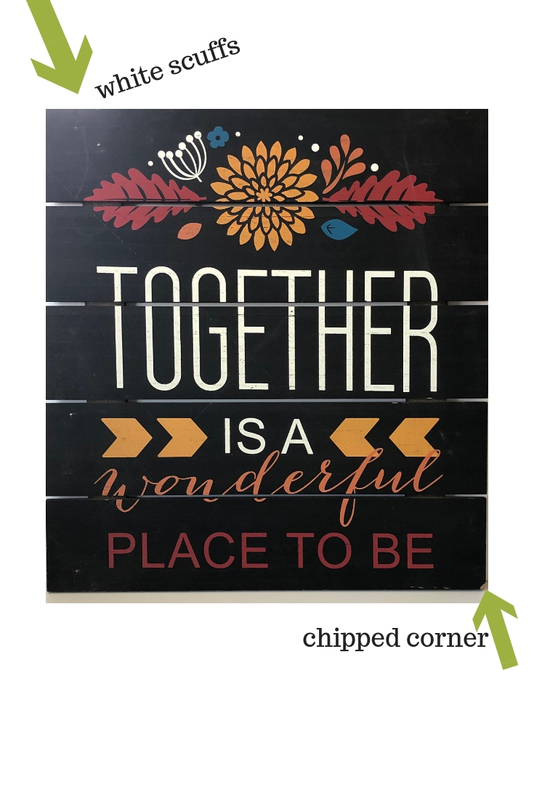 But even worse, once home I could plainly see a huge X scratched through the center of the sign, as though someone slashed through the protective wrap it came in with a box cutter. My first thought was “I’m glad I only paid $6.00 for this.” I contemplated taking it back, but I knew there wouldn’t be any left and honestly, the lines were so crazy when I left I had no desire to go back. So, I figured I could toss it or try to camouflage the defects. Many years ago when Shabby Chic was all the rage, I distressed everything I could get my hands on. I worked my magic with sandpaper and a couple of tubes of acrylic paints. 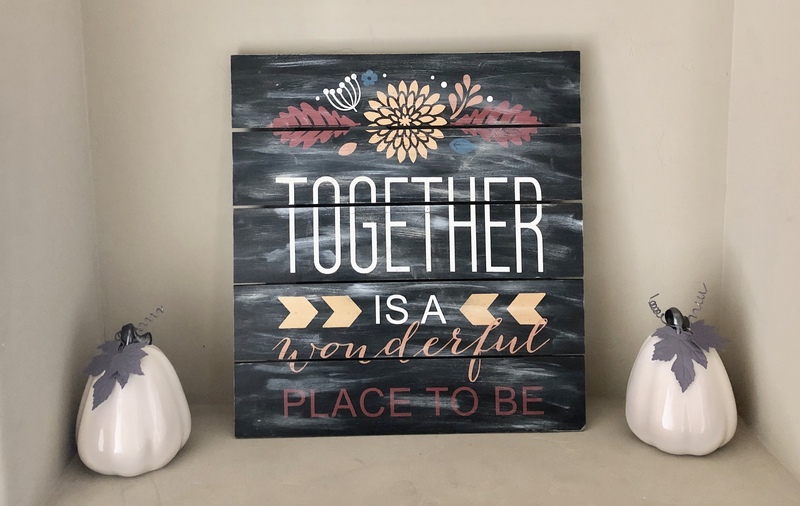 As the mom of two young kids, Shabby Chic appealed to me because it seemed everything I owned eventually looked distressed, so why not make the distressing look like it was meant to be? 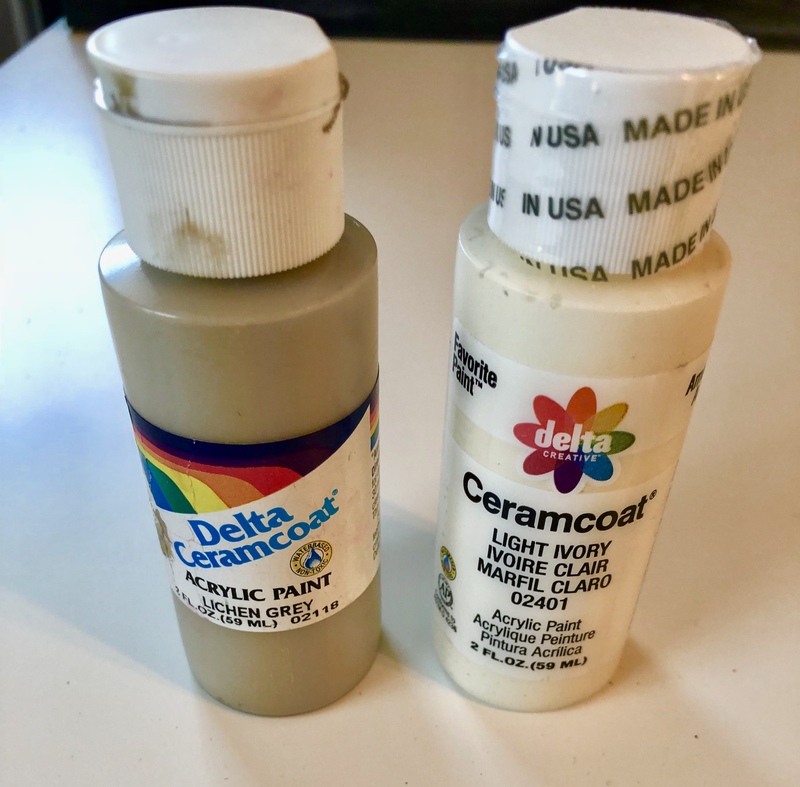 I like Delta Ceramcoat paint. It’s not too think, and always gives me the finish I’m looking for. Lichen Grey and Light Ivory are my go-to-colors. I use a fan brush like this one from Amazon. I find that the fan brush works really well for the dry brush technique. I started by lightly sanding the entire sign to rough it up and knock down the finish a little so it looked aged. Since one corner was already chipped, I sanded the edges and corners to remove even more of the black paint. Then I loaded the Light Ivory onto my brush and removed most of the paint on a paper towel. When there was hardly any paint left on the brush, I lightly dragged the brush across the surface of the sign. The beauty of this technique is that there really is no wrong way to do it. It’s best to keep a damp paper towel on hand, in case you get a little overzealous with the Ivory paint. I went back over the sign quite sparingly with the Lichen Grey. I actually like how the colors seem a little muted now. These muted shades seem more like fall to me. I’m happy with the finished product. The white ceramic pumpkins complement the sign nicely. The pumpkins had been $9.99. With the 80% off I paid $1.99 for each plus $5.99 for the sign. Not a bad look for $10.00!